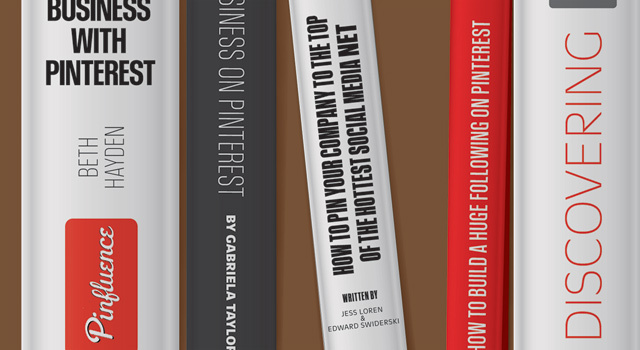 Four out of four authors of books about Pinterest agree: Pinterest is important! Their judgments, judged. TONE: For helpful tips, just wait until the next chapter! [Next chapter] Wait until the next chapter! DELIVERED AS DEEP INSIGHT: Imagine your ideal client and pin things you think they would enjoy. Make a vision board for them–glitter and dreams crowdsourced. USEFUL TAKEAWAY: Strike a balance between a) blatant self-promotion and b) blatant promotion of others, in hopes of them promoting you. PAGE-FILLING OVERTHINKING: A Hamlet-like debate over whether to link your Pinterest account to your Facebook or Twitter pages. Or, mind blower: both??? TONE: There is only Pinterest, a sentient being who knows all, pins all, is all. Join us. Jooooooin uuuuuuuus! DELIVERED AS DEEP INSIGHT: Remember what’s-her-name who makes stuffed animals for kids based on drawings they did? She made it big. On Pinterest. USEFUL TAKEAWAY: A whopping 80% of pins get repinned, whereas 1.4% of tweets get retweeted. So pin it before you say it. PAGE-FILLING OVERTHINKING: Twitter = “I eat #chocolate.” Pinterest = “Here’s a chocolate recipe.” Foursquare = “This is where I eat chocolate.” People pay for this! Follow Fast Company’s roadmap to social media: surefire rules, data, and expert wisdom guaranteed to show why this market is completely unpredictable. TONE: We’ve got some pretty sweet advice. And here are 348 experts to restate what we just said, but longer! DELIVERED AS DEEP INSIGHT: “Cats, jokes, infographics, and quotes. Images like these drive the Internet wild.” Actual quote, folks. DELIVERED AS DEEP INSIGHT: If you create bouquets of bright, inviting images, people will visit your page. USEFUL TAKEAWAY: Easy does it with oversharing. Fans connect to your humanity but won’t return your intimacy. PAGE-FILLING OVERTHINKING: You’re shown stock photographs, then asked things like: Which is more intimate, a baby or a living room? Answer: Now I hate Pinterest.